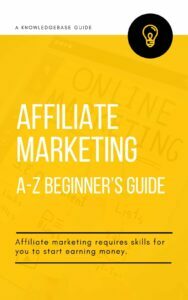 If you have a blog or website built on WordPress that you’ve launched recently and publishing content frequently. Then, it’s time to let Search Engines know about your content, though Search Engines will automatically crawl your site content. But, submitting Sitemaps to Search Engines is the best way to get indexed your website pages fast and whether you can choose the pages you want which are available for crawling. It’s also a part of On-Page SEO, that’s why it’s indeed. And, in this article, I’m going to show you how to create Google XML Sitemaps for WordPress Website. But, before starting let’s discuss a little about why you really need to create and submit Sitemaps to search engines. Why are Sitemaps Important for Websites? 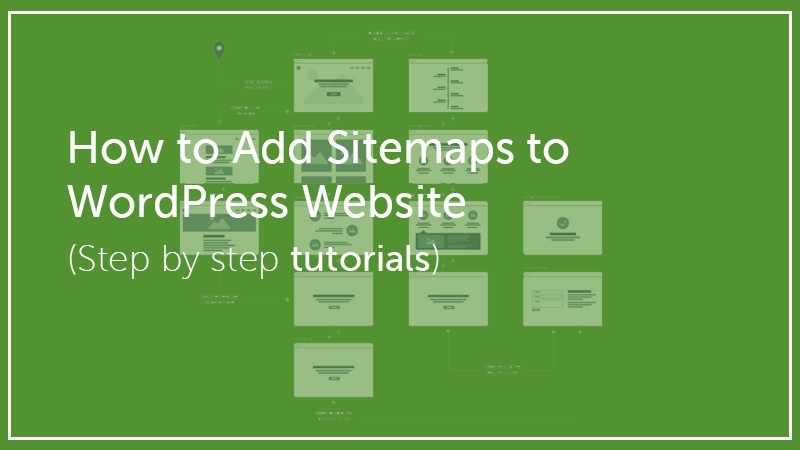 So, How to Create a Sitemap for WordPress Website? Simply, a sitemap is a document that lists all the URLs of your website (that you want to be crawled). The Document contains information such as the date a page was last modified or how frequently a page may change and whether the page should be given priority over others. It’s also possible to create specific sitemaps for each type of content, e.g. one sitemap for blog posts, another for videos etc. The importance of Sitemaps is shouldn’t be negotiated, most of the bloggers use sitemaps, me too. Sitemaps help search engines navigate your website more easily and this is why search engines index your content fast and better. Like, if you think of your website as a building, then the sitemap is the blueprint that informs search engines exactly where everything is located. There are a bunch of ways out there to create Sitemaps, most of the cases people use plugins. There are many Sitemaps Plugin available such as Google sitemap, Better WordPress Google XML Sitemaps, and etc. But, if it’s not then my recommendation is to use Google XML Sitemaps plugin because it’s the best option I think if want more control over your sitemap. So, let’s create a sitemap using Google XML Sitemaps and submit to the Google Search engine. In the process, you first need to install and activate Google XML Sitemaps plugin. So, go to the ‘Plugin‘ section of your WordPress Dashboard and click ‘Add New‘. You’ll find the window for installing the plugin, simply search for the plugin in the search bar. It’ll come out, now click the ‘Install’ button and then click the ‘Activate’ button. Once it activated you can find ‘XML-Sitemap’ under Settings on your Dashboard. Now, click the ‘XML-Sitemap’ button and the window will open where you can see different options to create your Website Sitemaps that you can control. In the first box (like the image above) you can see some basic information including the URL of your Sitemap index file and recommendation about notifying Search Engines about your Sitemap or Your main sitemap and all sub-sitemaps. Sub-sitemaps are actually when you create different sitemaps for different items of your site (I’ve already mentioned above in this article). You can modify any configuration settings from the Basic & Advanced options as you want. In addition to adding the sitemap to the virtual robots.txt file, limiting the number of posts that are listed. You can even increase the memory limit and execution time for the sitemap creation process. Most of the settings are here fine already like marking ‘Add sitemap URL to the virtual robots.txt file’ ensure that you don’t have to put the URL manually to your site’s robots.txt file. As well as, Google XML Sitemaps also allows you to define pages that were not created on your WordPress website. You can see, there is an option to define the priority of posts based on the number of comments they have, that’s awesome. Next, you’ll find the options to define what areas of your website will be listed in your sitemap including ‘include the last modification date’ (which is highly recommended and helps search engines to know about any update of your content instantly). After the Sitemap content setting, you’ll find ‘Excluded Items’ option by what you can exclude specific posts, page, and categories. Google XML Sitemaps also allows you to change frequency and priority for eight different areas of your website including your home page, static pages, posts, and archives. As recommended, the default configuration is fine, yet you may want to change it for specific areas of your website. Remember one thing, Google XML Sitemaps is the best for creating best quality Sitemap. Unlike Yoast SEO Plugin, this plugin does not create separate sitemaps for each post type. Whether the number of images on each page is not listed either. So, now you have the sitemap of Your WordPress Website that you can submit to the popular Search Engines like Google, Yahoo, etc. Anyway, if you face any problem in creating your Website Sitemap following this guide, feel free to let me know. We’ll help you to fix that. As well as, you may also share your potential thought about this article, we’ll be happy to hear you.